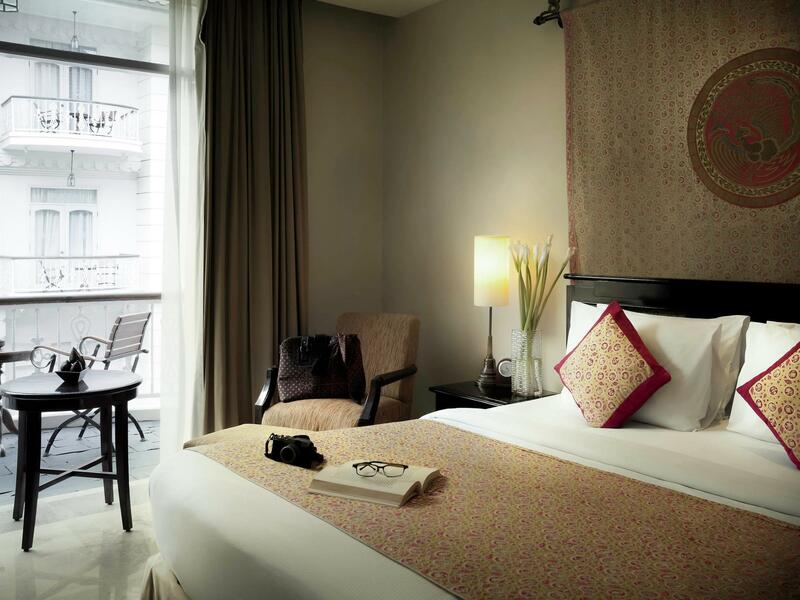 "The hotel is wonderful and a great place to stay for the mon..."
Have a question for The Phoenix Hotel Yogyakarta? "Pros: Breakfast was good, variety of choices." "Enjoy my stay in a very great hotel." "Very nice environment and excellent breakfast." 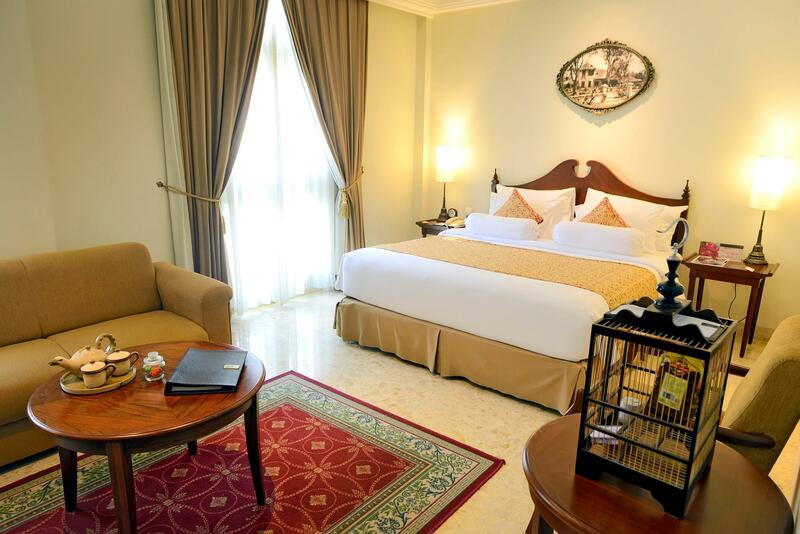 The Phoenix Hotel Yogyakarta is housed in a colonial landmark dating back to the early 1900s. 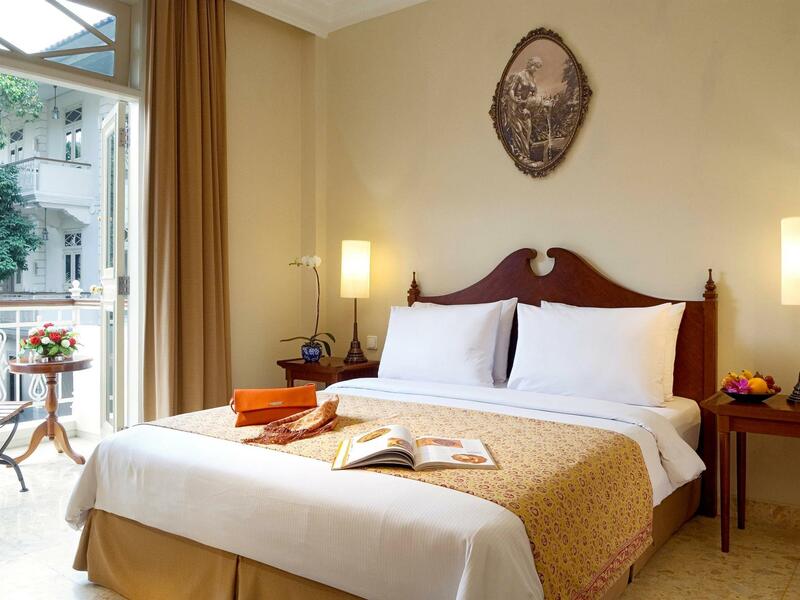 In the heart of Yogyakarta, the hotel is close to Malioboro - the two kilometer long stretch of shops and stalls. The city is home to several heritage landmarks, such as the Sultan's Palace, Kotabaru, and Kotagede to name a few. Guests can also enjoy many sporting activities near the hotel, such as horse riding and golf. This really is a superb accommodation choice in Indonesia. Relax by the pool during the day or let the concierge help you plan a range of activities. 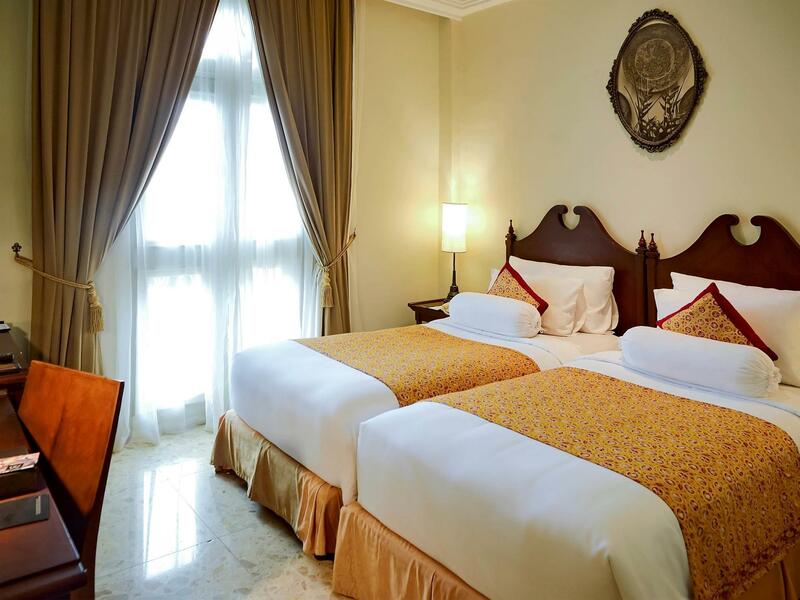 The historical Phoenix Hotel is perfect to experience a little bit of the past while you are visiting Yogyakarta. Great location with food nearby. Around 900m to 1 I’m to malioboro. Just take the beca if you lazy to walk. Rooms great. Nice staff. Fantastic architecture of olden days. The room was quite small but it was adequate for me as I was travelling alone. Comfy beds and pillows. Lovely outdoor pool and really friendly staff. Great selection of food for breakfast and dinner with live music. Stayed this hotel many times, still one of best in town, good breakfast and service as well. Downstairs Music at night could be little noisy until 10:30 but hotel prepared earplugs for you. Overall it is still good hotel to staying in Yogya. Located in the old city center but not where the current happening spots are. Beautifully designed based on an old hotel (100th anniversary of the building next year in 2019). Service was not perfect but acceptable. All staff are friendly and helpful. Finding transportation to and fro was easy because the hotel is well known. We chose this hotel because we didnt want to stay in a modern hotel and because the Phoenix rooms have balconies where we could enjoy our breakfast in. F&B quality was only average, even for the traditional dishes. We stayed for 4 nights at a cost of about 400USD net. 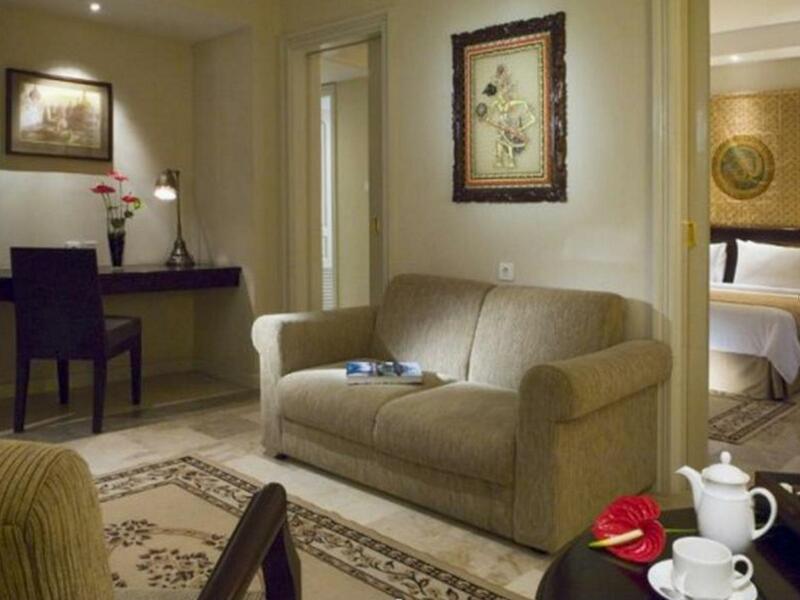 The room was very comfortable and the staff very polite. We really enjoyed the hotel’s collection of art objects and decor. They have a live band playing in the evenings in the restaurant and that made our evenings very cheerful. Beautiful decor reflecting the arts of Java, attentive, friendly and helpful staff. An excellent all round experience. Really nice hotel , heritage building, well maintain. Breakfast is super good, plenty of choice (including the healthy choice). Room is clean, nice decor. Staff really helpful. My wife left her cosmetic in the fridge, while we already reached Magelang, we arrange to pick up at the hotel 3 days later. And yes, she got back her cosmetic. Thank you so much Phoenix Hotel. Will be back for sure! The Phoenix is a quality act and delivers excellent performance befitting a hotel of its past pedigree. Excellent service from staff. We were initially given a "smoking" bedroom but when we pointed out that we had asked for on-smoking our rooms was changed immediately. Breakfast was among the best we have had in 5 months+ of travelling. A good location in Yogya and ideal base for Boroudur & Pramanan. Recommended. The hotel is a beautiful heritage building. The main street is nearby, around 15-20 min by walking. Some might find it a bit far away but I find it nice because Malioboro is a bit crowded and noisy. The room is clean. But wifi connection is not the best condition, which was just enough for checking emails. It was hard for watching streaming pages or image-heavy webpages. All the staff members are kind and helpful. I find breakfast ok. Coffee was really good. Hope they offer fresh milk or cream for coffee instead of creamers. An ATM and a big bank is just next to the hotel. Thus, it was convenient for us to withdraw Indonesian money. Entrance tickets for famous places are quite expensive, such as one adult for 30-40 US dollars. I became to run out of money soon but it was nice that the hotel was just next to the bank. Overall, the hotel is a quiet and tranquil place and I appreciate the efforts to keep the old building and atmosphere. Very good services, fast check-in check out, good restaurant and bar, lots of options for food during breakfast or buffet dinner, tasted was not that excellent but okey, bed room was okey, shower/ toilet can be improved, overall good experiences. The colonial architecture is beautiful and staff are great, always attentive and respond quick to requests. The hotel could improve on breakfast menu. I was there for 5 days and the breakfast spread is largely similar every morning. Otherwise, definitely a great place to stay at for a relaxing excursion in Jogja. Have stayed here twice. The hotel is wonderful and a great place to stay for the money. Staff is very friendly and accommodating. Breakfast is superb! Well worth the money and a very pleasing atmosphere in all aspects. If there is one thing to complain about is the inconsistency in their training of Housekeeping staff . Had to notify the front desk multiple times during the stay of Housekeeping not replacing towels, soap and other room amenities that were used. Someone actually broke the teapot during cleaning. It also seemed they occasionally though only one person occupied the room instead of two. It took almost the entire two week stay to get them "on the ball". Will however come back again and will definitely recommend the place to anyone visiting Yogyakarta. Great one night short stay at Phoenix hotel. Didn’t use any of their amenities like pool, spa or gym. Room was comfortable and clean. Facilities are older but clean. Staff was very helpful at all times. Great location to explore marlioboro market and sultan palace etc. Didn’t try their restaurant but the bar was decent. Would stay again if I’m the area. Having a very very pleasant location nearby Tugu. With classic Javanesse style interior always be my favourite place in Jogjakarta. Staffs are super friendly, rooms are neat however a bit old furniture you can find. If you like classic and heritage scenery it will works for you. Except some ‘squeaking’ noise of the furniture when you open the cupboard or bathroom door may not be good for you, they are classic anyway. Food are typically on 5 star hotel standard, taste good I enjoy it every day. The waitress in morning breakfast served me with Kopi Tubruk, with her own choice without asking and confirming it to me, but unfortunately it tasted awful (taste like fungus) and it made me think why didn't she just bring me the normal coffee from the machine. Is it because I am Indonesian??? She/he needs more training from the management to be more communicative and sensitive. That's all. We realy loved this hotel. The building itself is worth a visit but what realy makes the hotel excell is the staff. They work so hard to please the guests in any possible way! We will definitely come again!!! it is a good place, great staff, a very heritage place. the main building is almost 100 years old. we expected to be placed in the new building - which was the 1 that was in the pictures. but probably because of the type of room we booked, we were put in the old/main building which has a view to the new building & parking lot 😑. Maybe it should be in the description, so people can choose better next time. And in my room (333), the shower has a leakage, which is not disturbing, but a waste of water.. Impressive lodging with an awesome breakfast. Worth staying. 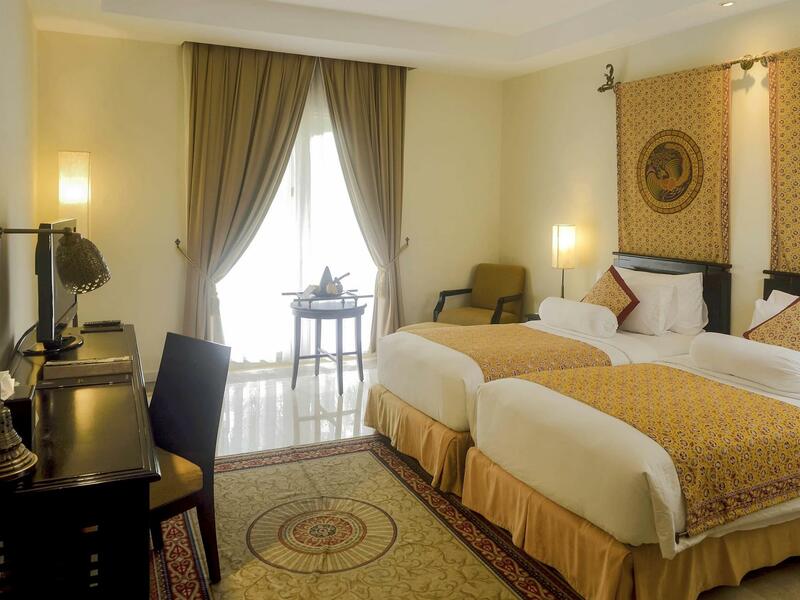 Luxurious Hotel at affordable price. Location is a bit north of Malioboro but walkable. Facilities such as pools and gym can be used for free. Friendly staff that makes your day and most importantly clean rooms. Beautiful hotel. Lovely oasis in the middle of Jakarta.